ServiceMaster Clean is an industry leader in commercial specialty cleaning; providing cleaning services beyond the ordinary. 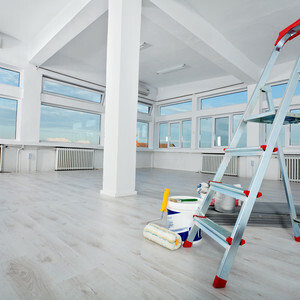 ServiceMaster Clean has been meeting the needs of commercial specialty cleaning requirements and maintenance programs for over 50 years. Over 5,000 customers entrust ServiceMaster Clean with more than 100 million square feet of commercial carpet each year. ServiceMaster Clean of North Toronto provides services in Aurora, Downsview (North Toronto), Newmarket and Vaughan. We manufacture the products we use. Our research & development department continuously improves and introduces new cleaning products and techniques. Our Green For® products were developed to address not only our impact on the environment, but also to improve indoor air quality for your staff and the technicians that clean your office. Our proprietary products and processes help make our cleaning services outstanding. Value is more than just great cleaning quality at a fair price. It includes how you are treated as a customer. Our strength is in achieving customer satisfaction and fulfilling your needs. With detailed quality control protocols and a desire to ensure your total satisfaction on an ongoing basis, you can be certain that we will always be professional and efficient. It’s part of our guarantee.